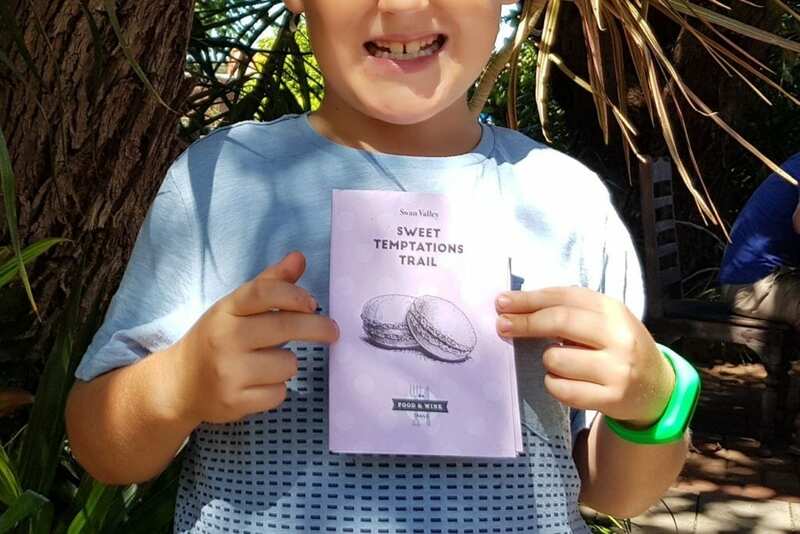 We’ve discovered the scrumptious Sweet Temptations Trail, a mouth-watering artisan adventure that takes you to some of the Swan Valley’s sweetest spots. The tour focuses on tasting local produce that both big and little sweet-tooths will love. 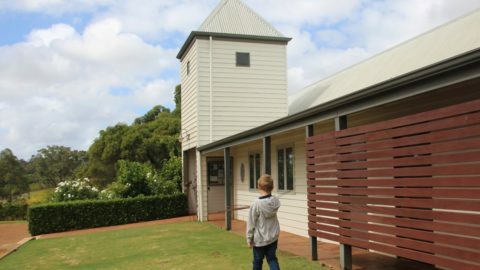 Absolutely anyone can take part in the DIY self-drive Swan Valley Sweet Temptations Trail, it’s perfect for families, but still has a few wine tasting stops for Mum and Dad. So what are you waiting for? 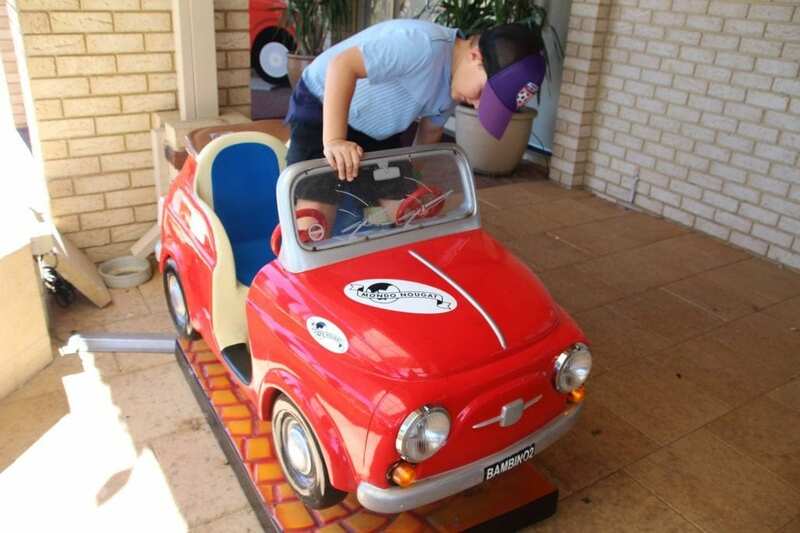 Jump in the car and discover the sweeter side of the Swan Valley! 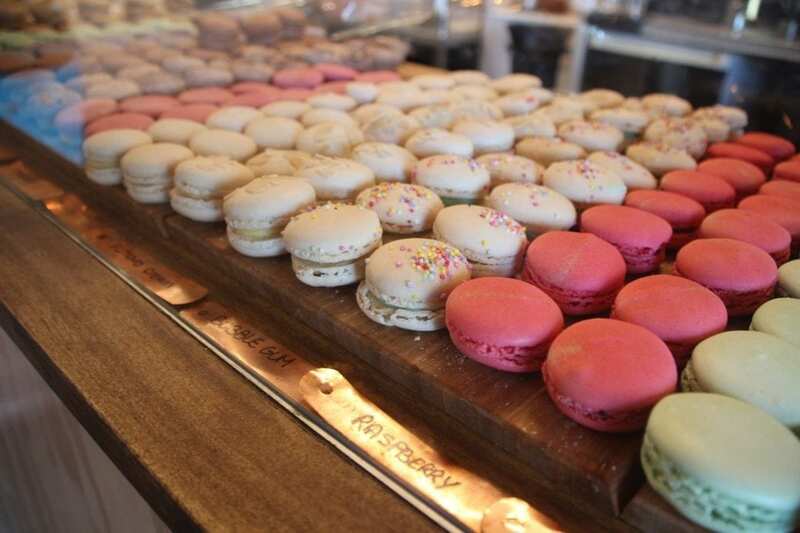 Maison St Honore has gone from selling their marvellous macarons at farmers markets to their macaron factory that’s now found in the Swan Valley. Here you can purchase so many different flavours of these yummy morsels. Make sure you grab a table outside by the playground, and enjoy a coffee while the kids run off that sugar rush! For those who may like something a little more savoury their house baked croissants are a big favourite too. Read our blog on Maison St Honore here. 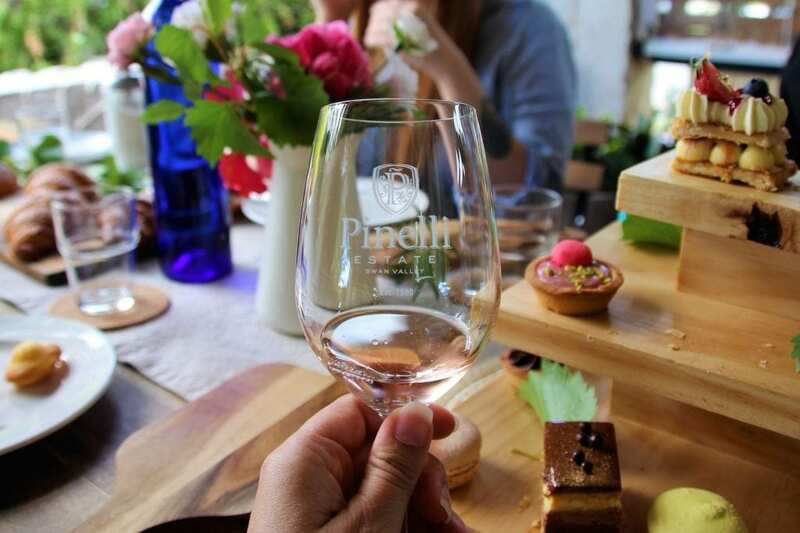 A tasting of Pink Moscado at neighbouring winery Pinelli is next on the tasting trail. I’m rather partial to a rose! A little sip of the Moscado, full of fairy floss notes, told me this was one of the best Moscados that I’ve tried. 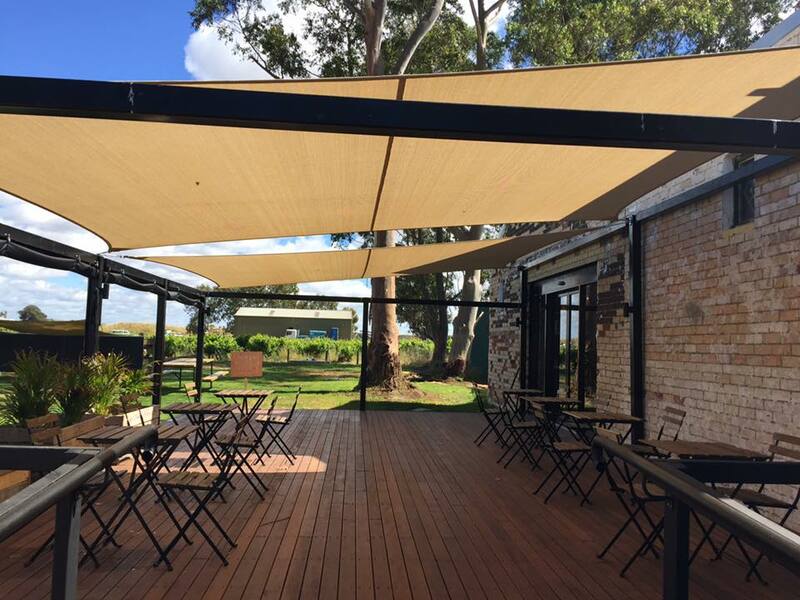 Pinelli Estate wines, a family winery with an Italian heritage, are only available from their cellar door or online. 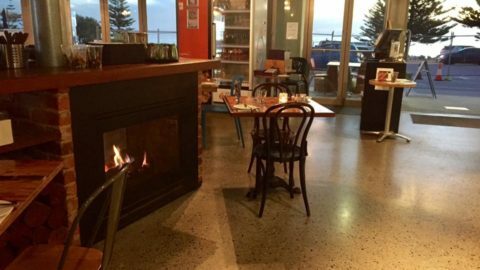 A new Italian café, with a kids menu, has opened there this month. 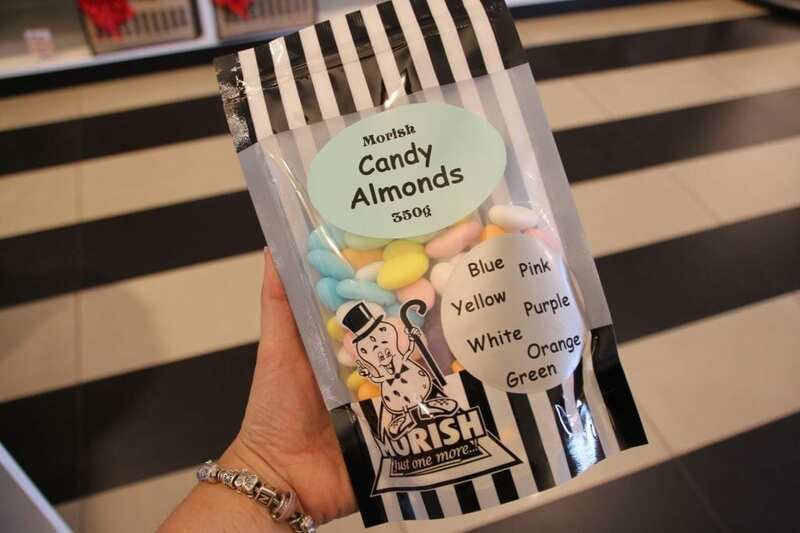 Next, we checked out Morish Nuts, for tastings of sweet coated nuts and toffee popcorn crunch. Little Chef agrees that the caramel coated and coffee glazed macadamias are to die for. If you love a savoury nut, make sure you taste their wasabi coated morsels. Best of all, their entire range is gluten, lactose, additive, preservative and colour free. A great excuse for a nibble with no nasties! We don’t have far to travel to our next destination. Mondo Nougat is found in the same spot as Morish nuts. 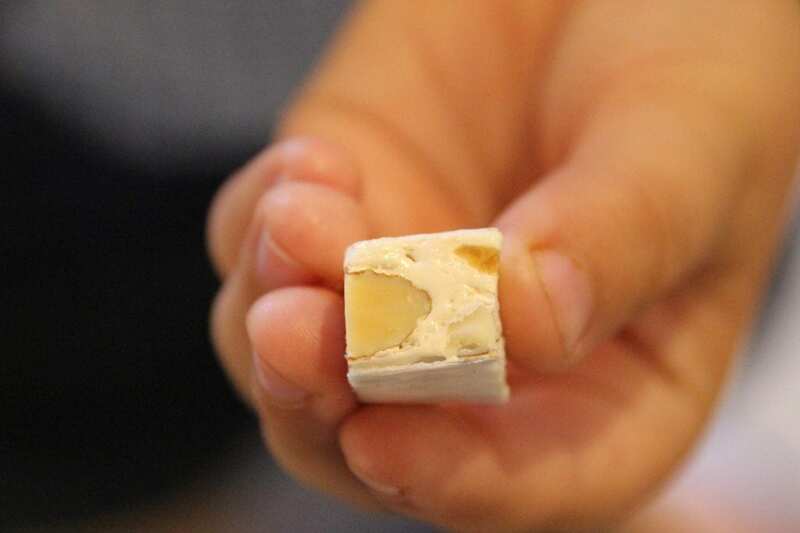 The Mondo Nougat is made using a traditional Southern Italian recipe, which you can try and buy. There’s lots of different flavours – cherry, cappuccino, lemon and more. In the café there’s coffee, hot chocolates and of course loads of tastebud tempting desserts including their crowd favourite, Mondo Nougat cheesecake. 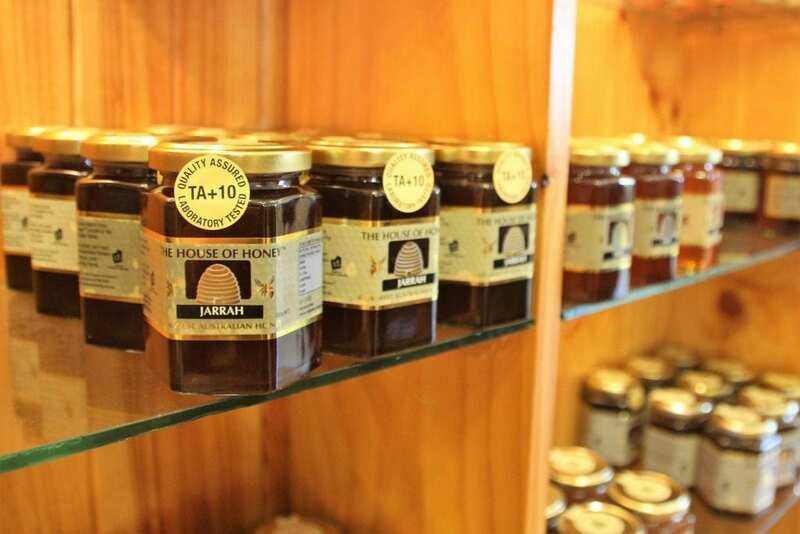 You get a warm welcome at the House of Honey, who’s pure honey is sourced straight from the hive. Their apiary sites are found all around WA to benefit from the many different nectars, which each give a unique flavour to each honey type. At The House of Honey, you have the opportunity to sample many varieties of pure, natural honeys at the tasting station. Kids love watching the busy worker bees in the glass covered hive. There’s also loads of house made honey ice creams to devour. Adults should check out the new meadery. “Honey wine” is said to be the world’s oldest alcoholic drink. 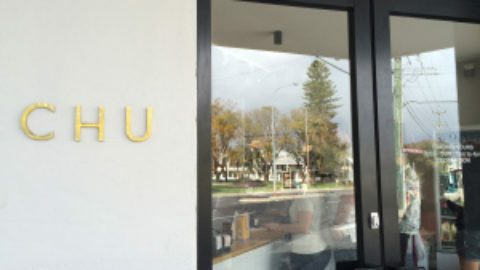 Read our blog on House of Honey here. If you or your child has a physical reaction to gluten, certain food additives, preservatives and flavour enhancers, or if you’re vegetarian – you’ll appreciate eating a cleaner, greener diet. 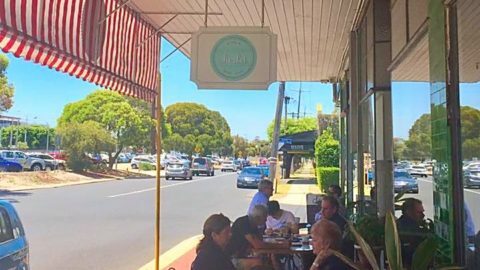 At the Swan Valley Vegetarian Café everything is made from scratch and gluten free. 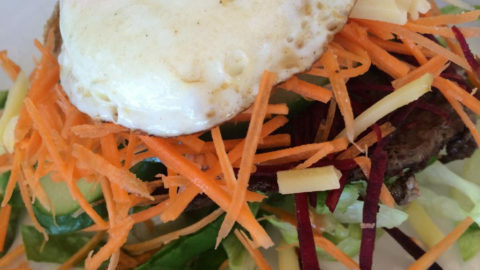 There’s tasty lunches, delicious cakes, and raw treats. 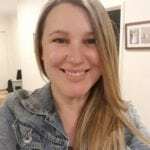 Owner Julie, who is also a naturopath by trade, formulates and hand blends her own range of herbal teas. 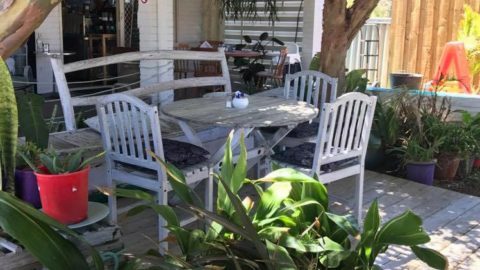 It’s a lovely café and their lush courtyard is a great spot for a healthy lunch, while the kids play in the small, shaded play area. 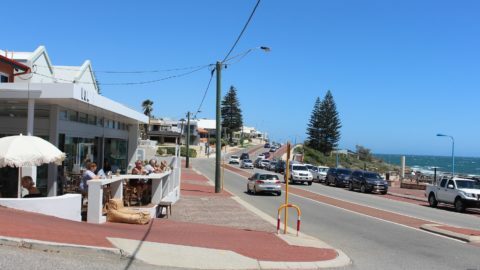 Read our blog on Swan Valley Vegetarian Café here. Lastly, we headed to Olive Farm, found next to the Cheese Barrel. It’s safe to say I’ve never left the cellar door here without a bottle of wine to take home. Here you can taste their sweet wine selection, each was paired with delicious handmade chocolates. Their signature fortified wines and sparkling Moscato are handcrafted by third and fourth generation Swan Valley winemakers. 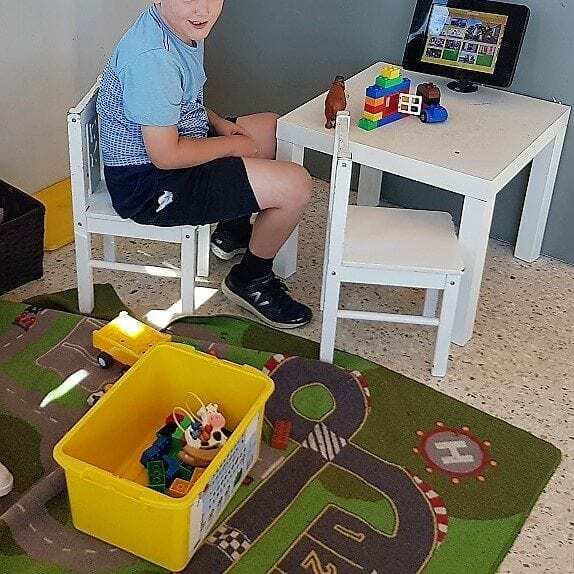 And best of all there’s a kids corner to keep little ones entertained. 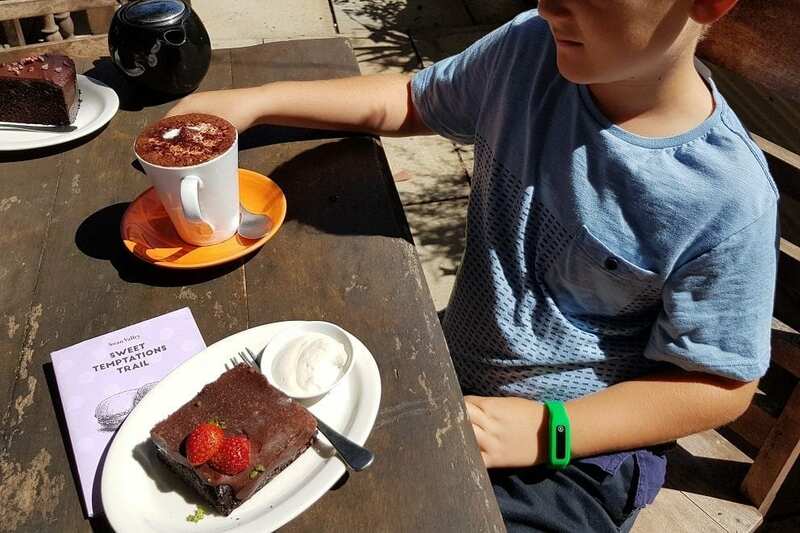 Most of the venues that the Swan Valley Sweet Temptations Trail takes you to offer breakfast, morning teas and lunch, so your family will be spoiled for choice food-wise. Otherwise, you could take your own picnic to tranquil Maali Bridge Park, located on the banks of the Swan River. Download your map and get tasting! Thanks for these ideas. I think the one place is Maison St Honore though rather than “Honre”.